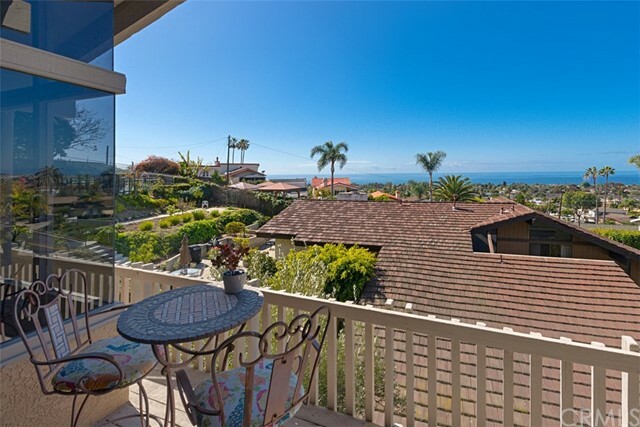 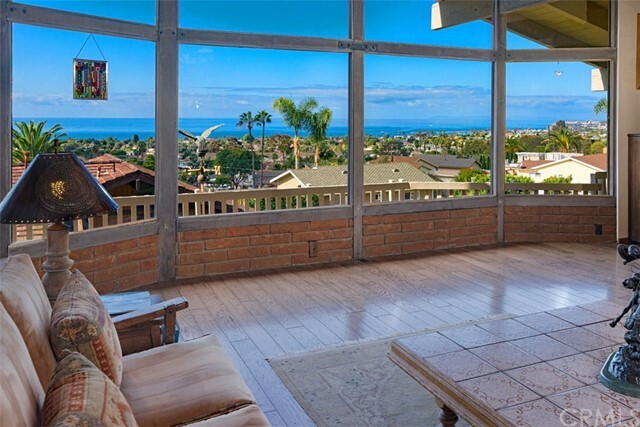 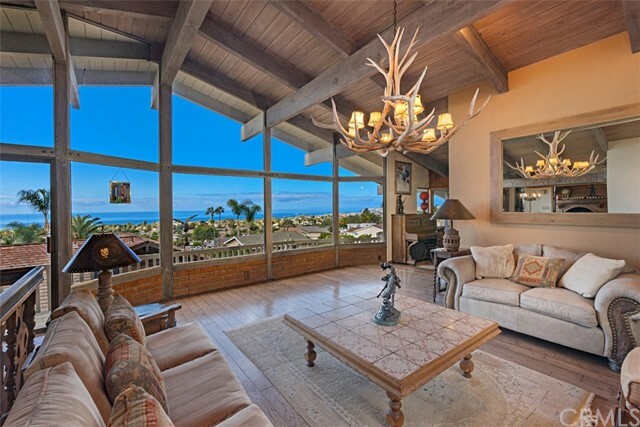 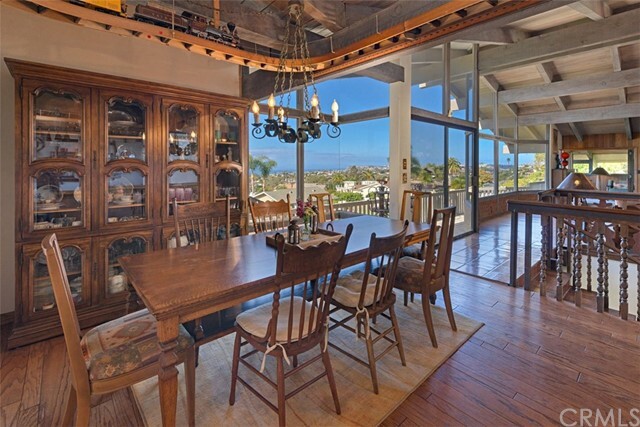 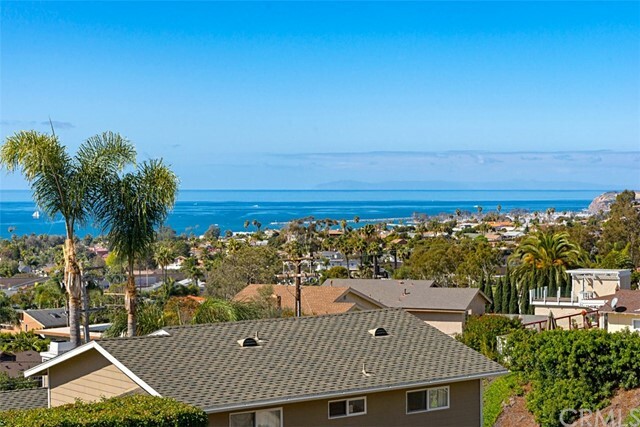 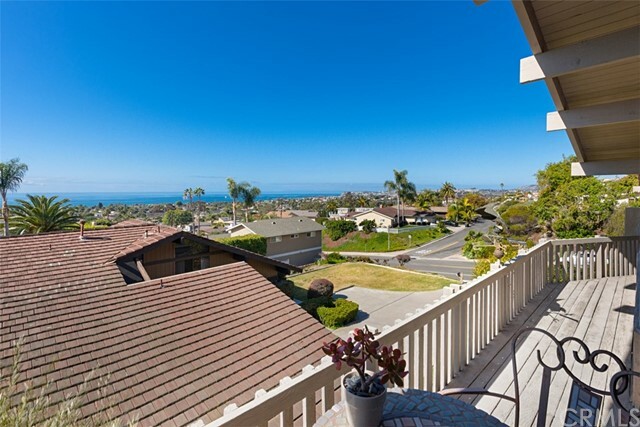 PANORAMIC OCEAN AND HARBOR VIEWS!! 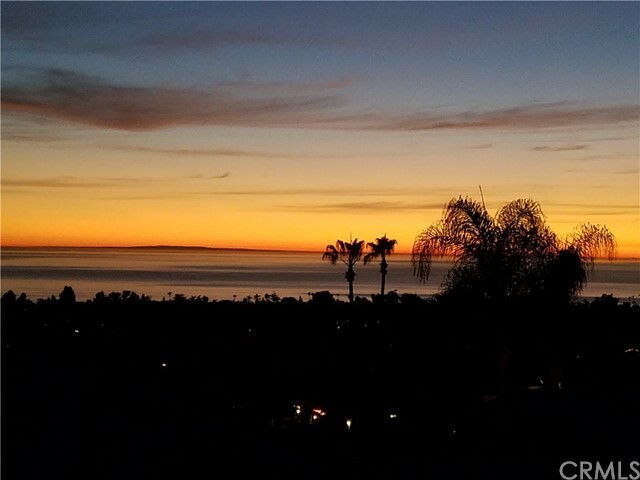 That’s the view we are offering you from this custom built, one-of-a-kind home that defines classic California style and architecture. 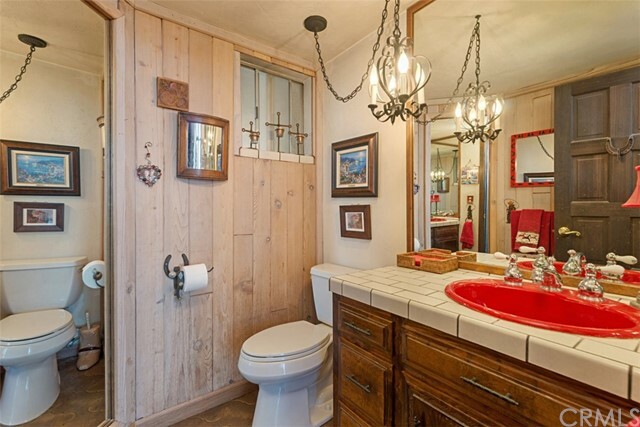 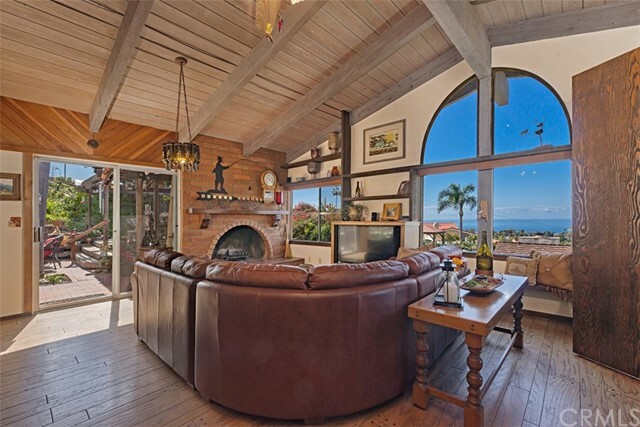 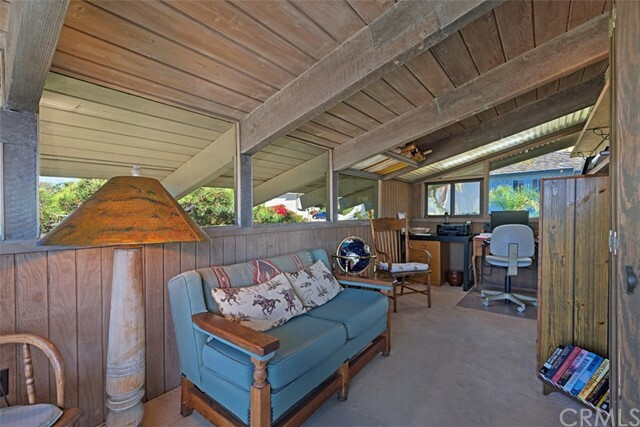 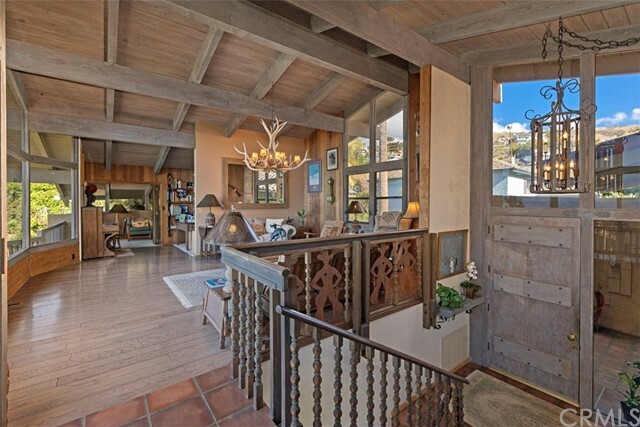 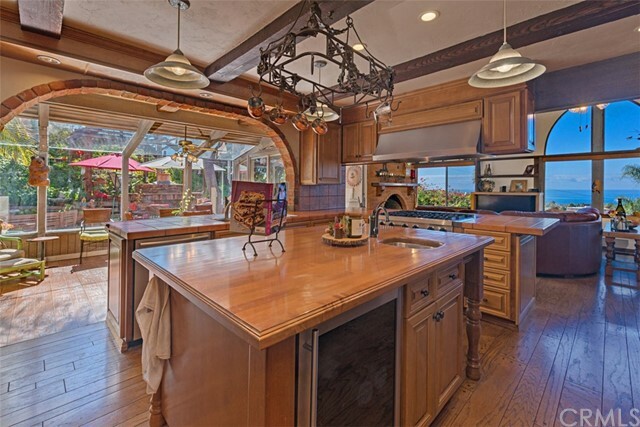 Wrap-around glass, vaulted beam ceilings, lots of wood and a hint of the old West. 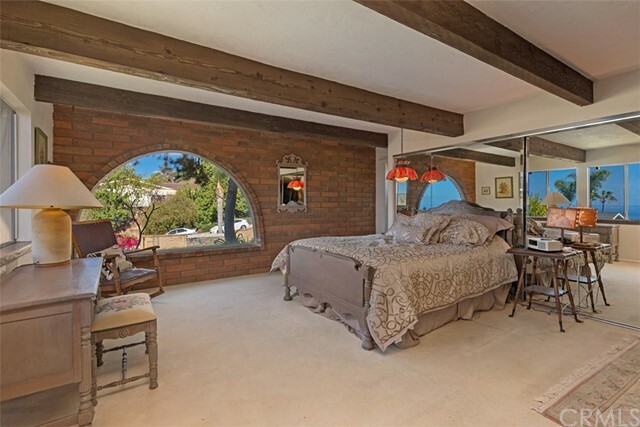 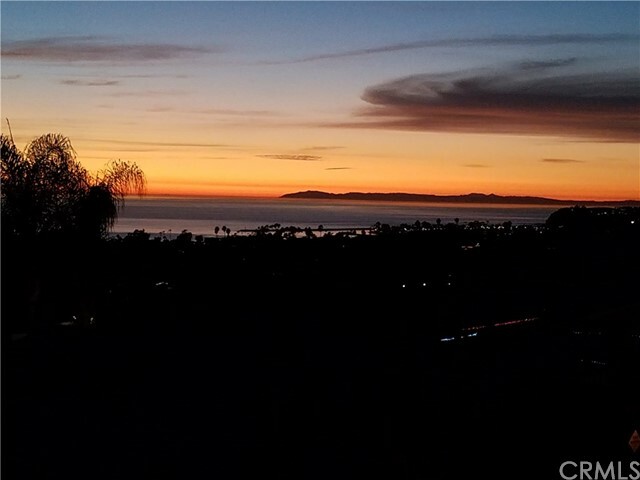 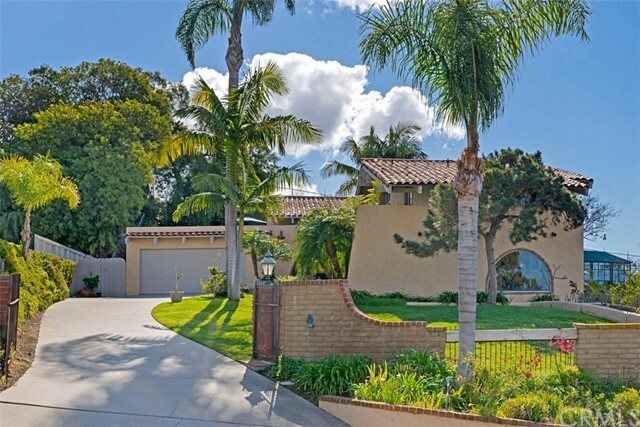 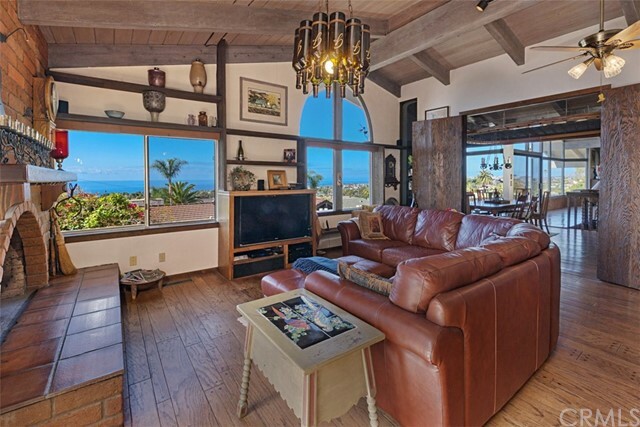 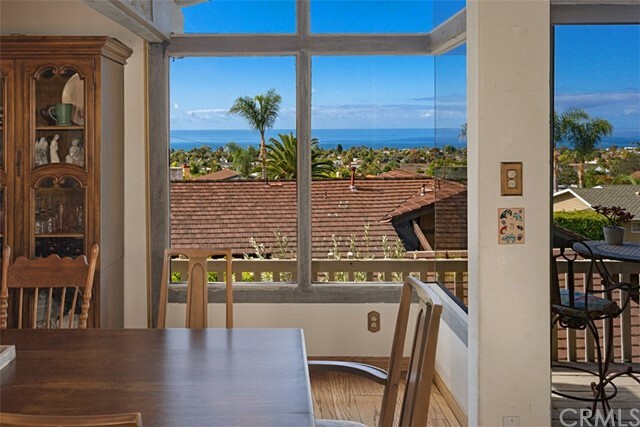 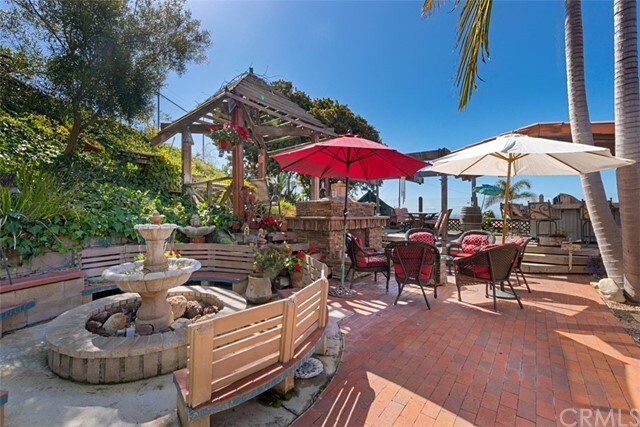 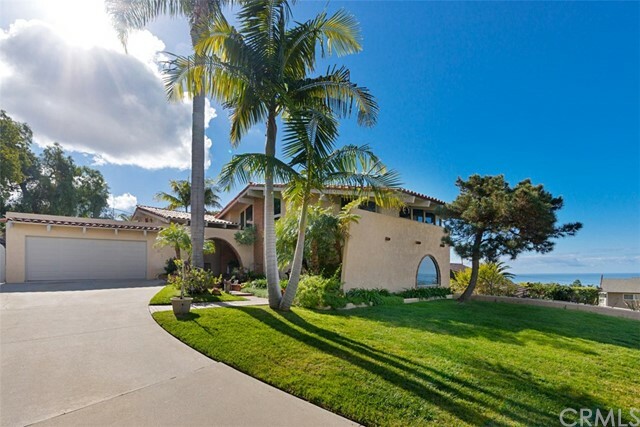 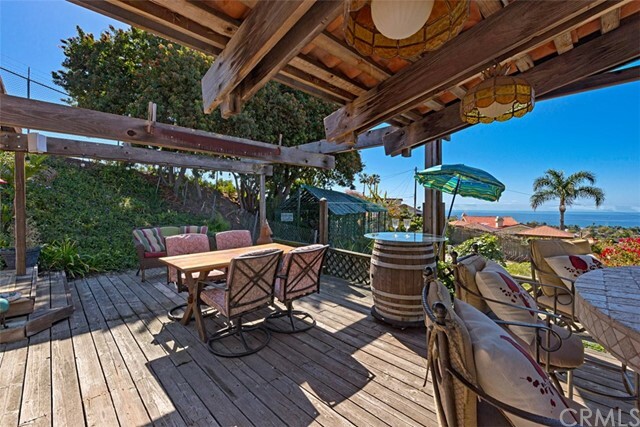 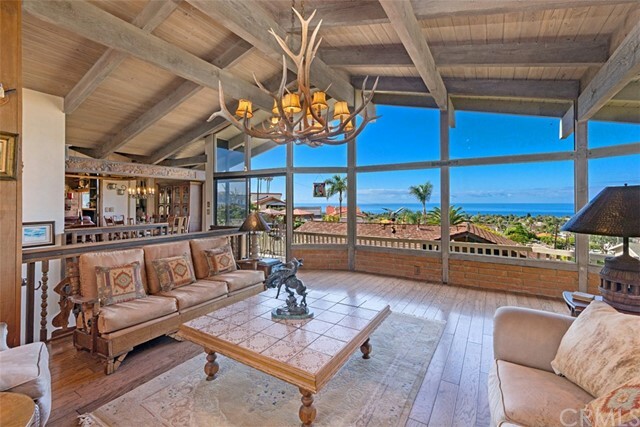 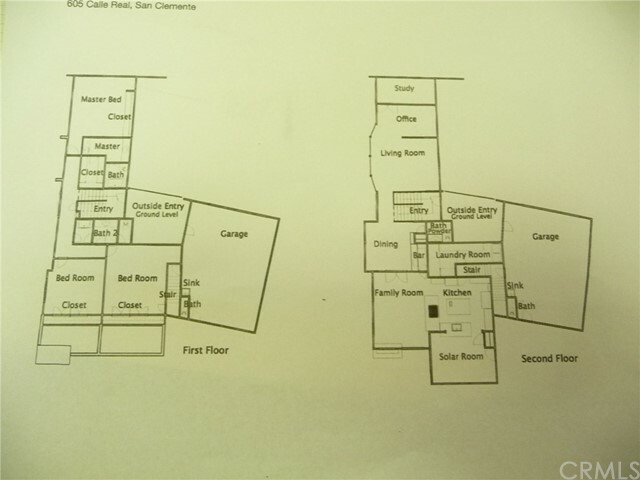 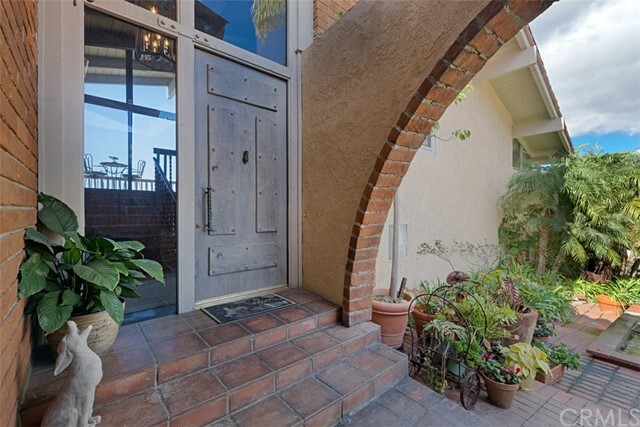 Located on a HUGE, private lot, this reverse floor plan was designed and built around the spectacular ocean and harbor views which can be enjoyed from virtually every area of the home. 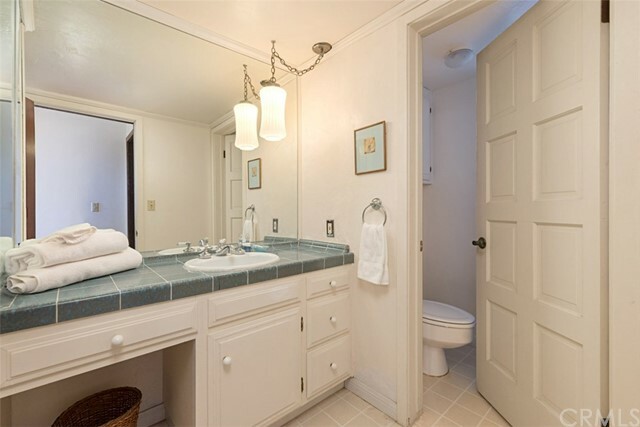 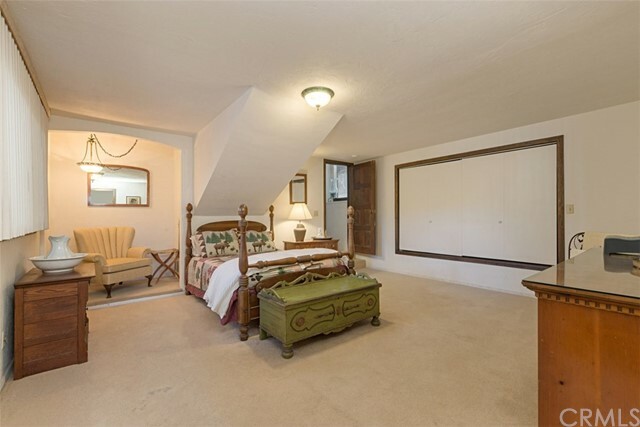 The lower level features all three bedrooms including an extremely spacious master suite. 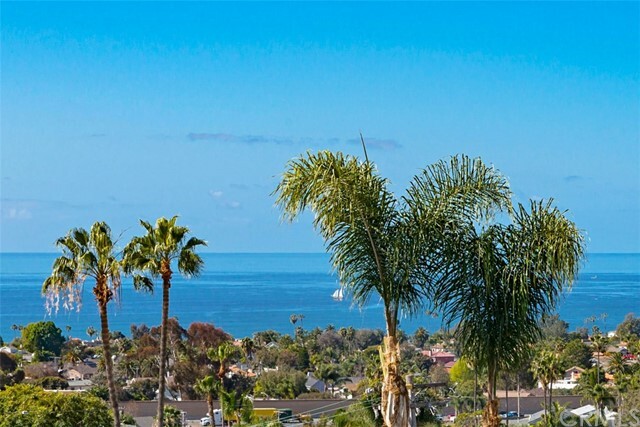 From here, you will enjoy gorgeous ocean views from the minute you wake up. 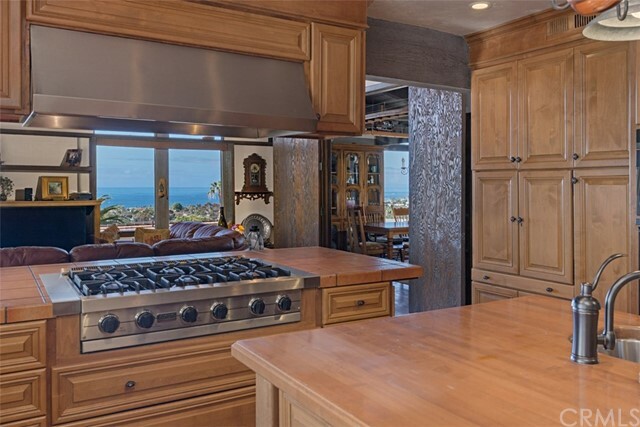 The spectacular gourmet kitchen features Italian tile countertops and backsplash, 6 burner Viking stove, high end appliances, large center island with prep sink and tons of well thought out storage space and lighting. 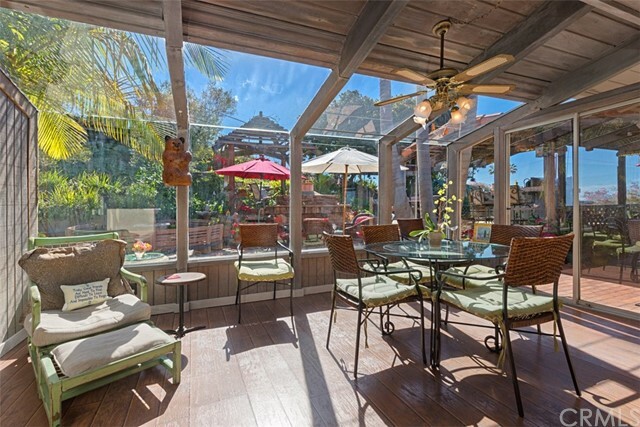 Enjoy your morning tea or coffee in the warm and sunny, glass-enclosed breakfast room. 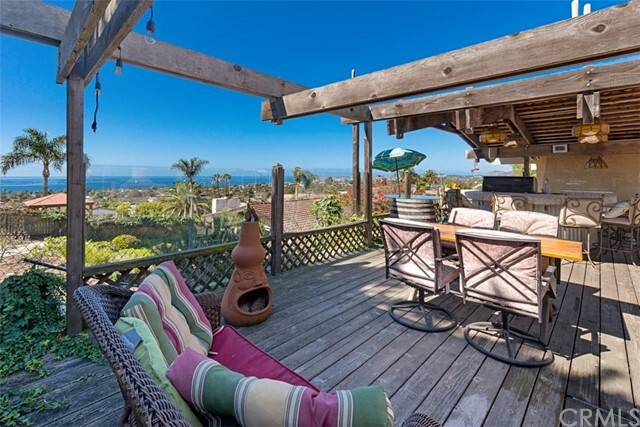 From here you will look out to the expansive multi-terraced garden with fireplace, fountains and seated barbecue area. 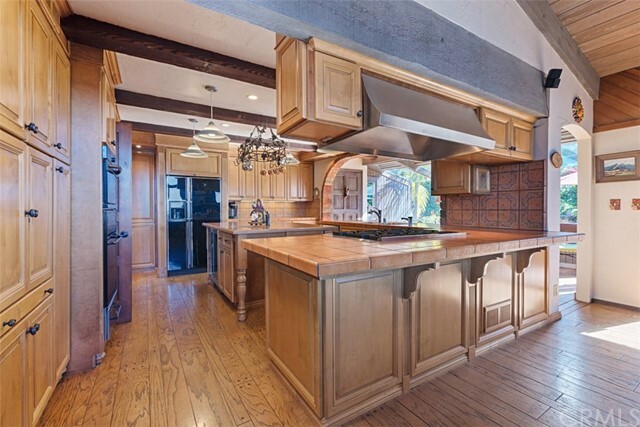 Dual main level retreats and formal dining room with bar complete this stunning property. 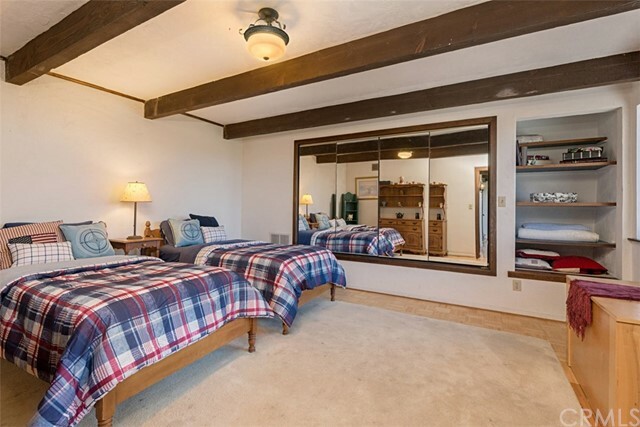 Loaded with space, the double tandem 4 car garage was built with the capability to add another level – think music room, art studio or in-law suite!